Our Favorite Quote Of The Week – “This is the real secret of life — to be completely engaged with what you are doing in the here and now. And instead of calling it work, realize it is play.” – Alan W. Watts. Trans Fat – Puttin’ OFF the Ritz – The message is clear. Eat healthy. Drop the Twinkies. But that’s only one side of the story and as with everything else, even a good story changes and balances itself out over time. We now know that indulging in non-organic, white flour and white sugar laden snack once in a while is more likely to bring pleasure than any harm. Meanwhile, a ruling by the U.S. Food and Drug Administration requires food companies to eliminate trans fat from their products by 2018. Three years from now, you’ll come home from work and fearlessly snack on your all time favorite Ritz and cheese, or grab a Devil Dog or a small stack of Chips Ahoy to dunk in a tall glass of milk with zero trans fats, thank you very much. The list goes on to include microwave popcorn, Coffee Mate, cereal bars, Bisquick and even Crisco. Snack Attack – Shoot For 100 – A good home is about location, location, location. A good snack is a matter of portion, portion, portion… and innovation. Take the snack of all snacks, for example: S’mores. 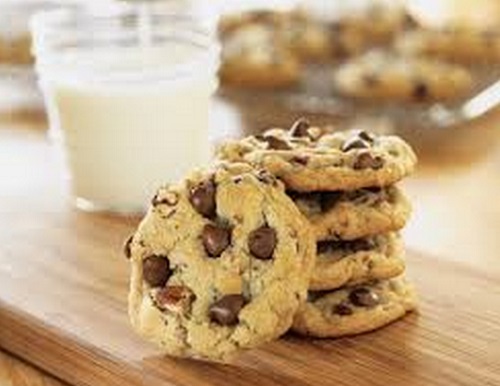 If you’re watching your waistline, you may also be watching the kids enjoy large, messy bites of the gooey treat while mentally convincing yourself, “I will not give in, I will not give in.” Ah, but do give in once in a while. Be playful and carefree. It’s a matter of variation. 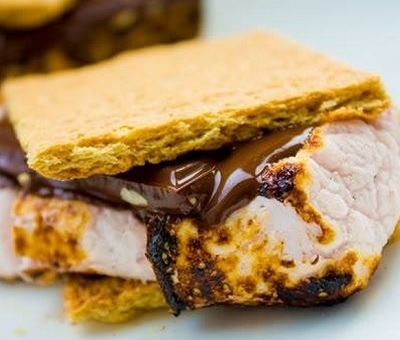 Simply have a Skinny S’more: 2 Graham crackers with 1 roasted marshmallow and 1 small square of chocolate… 100 calories. Yup. Just two zeroes. Here are many, many more indulgent and refreshing snacks that won’t break the calorie count bank. — 88 Unexpected Snacks Under 100 Calories. Banana Gone Bananas – There are the 101 ways to use vinegar and salt around the house. There are the 101 ways to recycle coffee grounds and coffee filters. 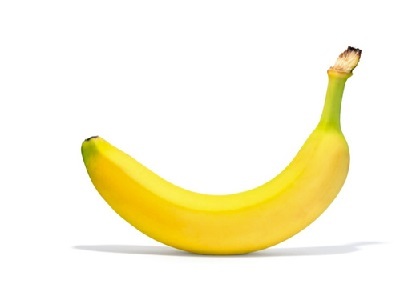 Now, it’s time to talk about bananas. We overheard a bartender in a radio interview saying that the talk of the town these days is the practice of rubbing the inside of fruity cocktail glasses with the fleshy side of a banana peel to add just the right touch of bitterness. Pure genius. If you’re not into consuming cocktails, consider treating your hair to a sweet banana purée and say hello to a naturally shiny and manageable mane. Or you could relieve cuts, bruises and even mosquito bites by rubbing the inside of the peel on the wound. Make a banana mask; say goodbye to wrinkles. Don’t take our word for it, but it sure sounds refreshing and worth the try. Press banana peel on a splinter to ease its extraction. We have a neighbor who actually confirmed this one, once. And for the grand finale on this paragraph, mix banana purée and coffee ground for an ocean-friendly facial rub. Next postYou Voted. We Won 2 Seven Daysies Awards!